On February 23, 2010 Mazie Hirono voted for the Akaka Bill. She voted to strip Hawaiians of our property rights using the U.S. government to do so. When politicians do this to Hawaiians… they will do it to YOU too. Keep this in mind when voting. The editors of the Star Advertiser to be complicit with government to push for more government intervention through the Akaka Bill which strips people of their property rights. Whether Hawaiian or American, we need less government not more. You will have to log in to view the latest propaganda article about the Akaka Bill. “According to his staff, Akaka realizes that better than anyone: What he wants above all is to leave a “legacy” bill he believes has the best chance of passing at some point. So the Hawaii delegation is right, despite those long odds, in its move to keep the worthy notion alive in a more realistically scaled-down form. Akaka has decided to pare legislation down to a 14-page version, S. 675. 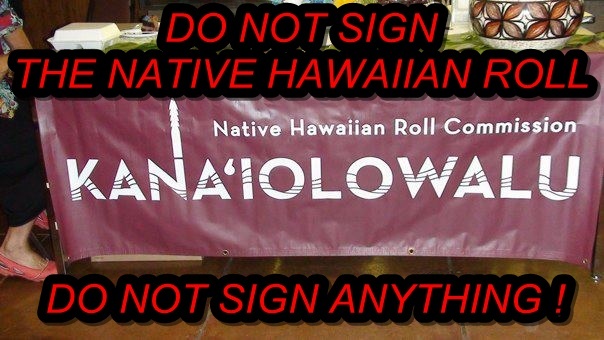 The principal difference between this and previous iterations of the measure is the elimination of the section that defines how a Native Hawaiian roll would be created — the membership of the nation-within-a-nation political entity for Native Hawaiians. The Akaka Bill is a tool that would STRIP Hawaiians and their legal heirs of their property rights. Fortunately Republicans shut it down. I hope they continue to do so. The Akaka Bill would strip Hawaiians and their legal heirs of their property rights which is problematic for non-Hawaiians: When the U.S. government does it to us Hawaiians… THEY WILL DO IT TO YOU TOO. 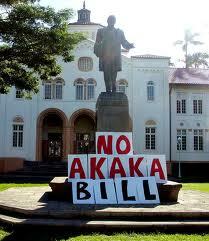 “Many of us, who are on the fence about the AKAKA BILL have since had a serious dose of reality! Robin Danner has gone out of her to publically humiliate Native Hawaiians/Kanaka Maoli, referring to them as “dumb”, “lazy”, and making comments about her ability to call Senator Innouye at the drop of a hat to kick Native Hawaiians off the homesteads. Even if you agree with her, as long as you do business on the homestead, she asserts that everything has to come through her and her entity. So lets recap here: if we go with status quo we’ll be full-fledged American Citizens with the right to free speech, freedom of religion, freedom to live where we want, freedom to work where we want, freedom to speak to whom we want, and are not at risk of being “disenrolled” from being Native Hawaiian/Kanaka Maoli. But if we support the AKAKA Bill, we will have all our rights as American citizens taken away as well as our identity. Moreover, we’ll be forced to work under Robin Danner as an indentured servant. Lord oh mighty, can someone please sign me up to be a member of the Robin Danner’s tribe? They continue to push the Akaka Bill onto Hawaiians and Hawaiian Nationals despite failing to reach majority which is 50% + 1. Photo credit: The Honolulu Weekly. Used for educational purposes. So far they still fail to listen to the will of Hawaiians. In fact they still do not have majority yet they continue to push for this legalized theft. For those of us who know about land, we refuse to sign to join this manufactured tribe which has one purpose and one purpose only in that this fraudulent “roll” will be used to reorganize the lands thus titles and royal patents of Hawaiians, Hawaiian Nationals, and their legal heirs. These property rights are inextinguishable. Since the poliTRICKans do not have majority 50% +1 these thieves want us to “enroll” in their program so that they can steal said real property and personal property. Stealing is wrong. 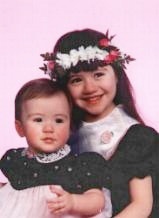 There is a larger picture here. This does not solely affect Hawaiians and Hawaiian Nationals. It affects non-Hawaiians and non-Hawaiian Nationals too. Will the local, state, and federal government steal your property from YOU too? We are sure you will understand. Hawaiians, Hawaiian Nationals, and their legal heirs reserve their property rights now and forever. This shall also serve as a PUBLIC NOTICE. “The State House of Representatives Committee on Hawaiian Affairs, chaired by Rep. Faye Hanohano, held a hearing today on HB 1627 â€” a clone of the Akaka bill, modified for implementation by the State, instead of the Federal government. Once again they are trying to steal the lands of Hawaiians and their legal heirs by reorganizing the lands based on their rules in order to reorganize the titles and royal patents of Hawaiians and their legal heirs. They were unsuccessful on the federal level. Now they are trying to steal lands of Hawaiians and their legal heirs on the STATE LEVEL. On November 15, 2010 Senator Daniel Akaka introduced another version of the Akaka Bill to keep his promise to Governor Linda Lingle instead of keeping his promise to the people to uphold the Constitution. That is, Abercrombie voted to STRIP Hawaiians and their legal heirs of their property rights. Abercrombie also did not listen to the will of the people both Hawaiians and non-Hawaiians who do NOT want the Akaka Bill. He ignored them. He did not even include the PEOPLE IN THE PROCESS. Together we can DEFEAT the Akaka Bill. Jackie Burke also known as “Jackie Kahookele Burke” has updated her official website declaring her opposition to the Akaka Bill. Aloha and Mahalo. I have never supported the Akaka Bill, it is not FOR THE PEOPLE OR BY THE PEOPLE, IT IS FOR THE GOVERNMENT, BY THE GOVERNMENT AND CONTROLLED BY THE GOVERNMENT! For those who may remember my independent newspaper the `O Files (Oiwi Files) 2003 to 2006, I published those independent voices (I will be posting copies to Facebook) and it was a statewide publication… I could never find any clear support for the Akaka Bill. How many public meetings were there? Why do they prevent our people from having a meaningful discourse in respect to setting this up? Please show your support for Jackie Burke for OHA O’ahu and vote for her. Both Hawaiians and non-Hawaiians can vote in the OHA Elections. Out of the three candidates for Office of Hawaiian Affairs (OHA) Trustee O’ahu Jackie Kahookele Burke is the ONLY candidate out of the three candidates against the Akaka Bill. Please show your support for her and vote for her. Remember both Hawaiians/oiwi and non-Hawaiians can vote in OHA elections. “There are enough votes in the U.S. Senate to pass by year’s end a bill to treat native Hawaiians like the nation’s other indigenous groups. This epitomizes the Media Manipulation that ignores the will of the people when it comes to the Akaka Bill. Hawaiians, Hawaiian Nationals, AND non-Hawaiians do NOT want the Akaka Bill.